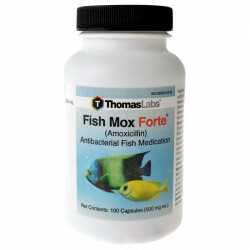 Aquarium Pharmaceuticals Aquarium MelaFix heals open wounds & abrasions, treats fin and tail rot, eye cloud, mouth fungus and promotes regrowth of damaged fin rays & tissue. 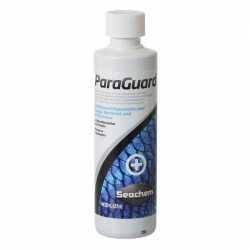 For use in freshwater or saltwater / marine aquariums. Aquarium MelaFix will not adversely affect the biological filter, alter the pH, or discolor water. Safe for reef aquariums and live plants. Directions: Shake well. Remove activated carbon if possible. Add 5ml per 10 U.S. gallons of aquarium water. Disease or wound treatment: Dose daily for 7 days. After 7 days, make a 25% water change. Continue treatment, if necessary. Adding new fish: Dose daily for 3 days. I use Melafix and Pimafix at the first sign of any injuries, white spots, pop eye or loose scales. I keep African Cichlids and they fight often so I keep this on hand to help keep my fish alive and healthy. Always use it with my weekly water changes to help control bacterial infections. Always keep 1 bottle for backup! Melafix is good to have! I have used API's Melafix on a few occasions to prevent wounds from becoming infected. Keep in mind Melafix WILL NOT fully treat severe bacterial or fungal infections, but is intended for use as soon as a minor wounds or fin damage occurs. This product did not work for me when I attempted to treat severe bacterial infections like popeye or fin rot/tail rot. I had to order antibiotic food and Maracyn Two to cure these. 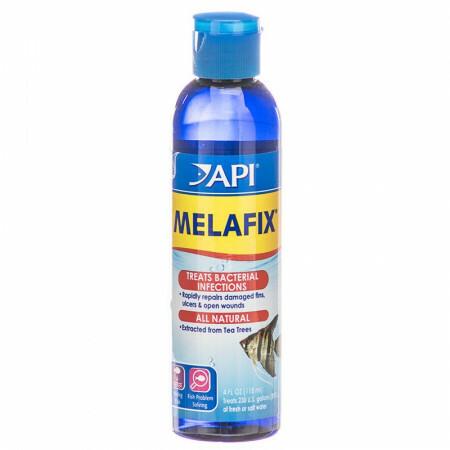 All in all Melafix is a good product to keep in case one of your fish suffers a wound and you want to prevent infection. This is an excellent alternative to broad range spectrum anti biotic. 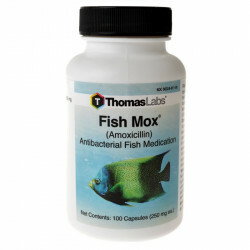 My fish did not respond well enough to two weeks worth of antibiotics but did very well on this product. I now keep both E.M. & Melafix on hand. I use this on a daily basis for my 12 year old goldfish (he is quite large and we are very fond of him). It was recommended by a local pet store who claims they use it daily for all their fish. It seems to keep any problems at bay. I have freshwater mussels, snails, crayfish and plants. I've used this product to treat my fish and have never lost any of my inverts or plants. I will no longer waste my time using antibiotics for my sick fish! This stuff is EXCELLENT!!!! My lion head/ranchu goldfish (both) had what looked like fin rot, and one had a red sore on his back. I followed the directions on the bottle and within 2 days they were on the mend! By the end of the 7 days, you couldn't even tell they had had a problem! The best part....it didn't mess with my bio-bed in my filter system! I will keep on using this product! I love API products, so why wouldn't I love this? My vet recommends this product and I always use it if I see red spots, fin rot or anything else out of the usual. I haven't had any issues with my fish, plants or snails when using this. melafix is a great product for helping your fish repair damaged fins. The 64 oz bottle treats 19,000 gallons not the 3000 listed by this web site. Its the only way to buy this product if you have a large aquarium. I had purchased some new fish and after two weeks could not get their torn up fins to heal. I then used the MelaFix for just one week and noticed a huge improvement. My Fishes fins had grown in much faster than before. This is a great product to help with fin repair. Works great for minor ailments! The fish hobby has been in my family for years - now that Ive taken it up, I have tried most medications under the sun for something or another. I love Melafix because it does seem to heal minor ailments and things that have not progressed too far. If you pay attention to the health of your fish and catch something early - this will benifit you, if not, you may be out of luck and have to try something MUCH more potent/deadly. This is natural - so I like trying this first. I bought a small green spotted puffer for my fresh water aquarium. I woke up the next morning and my puffer nipped all the fins off my loach! My friend let me borrow melafix from his aquarium and it worked! Sadly, I had to put my puffer in a separate aquarium and it died. I was using this occasionally to try to heal a fish who had some injuries on one side, but it didn't seem to be doing anything. Then when another fish was missing part of his tail, I decided to get serious. After just a few days of dosing everyday, the tail was growing back and the fish with the injuries was healed. I am now a believer. I Love Melafix. It has been the most effective for many different problems when other meds didn't work. Now I try it first when there is a problem. I used this in my 28 gallon tank for my two corydoras and their fins repaired after 4 days of treatment. They were under some stress, so their fins got frayed and they lost some of their skin (they're scaleless), but after treatment everything came back and they're back to normal. This is a great product, especially for sensitive fish like corydoras! My fish had some fish rot and the MelaFix worked wonders. Thank you, I will buy this again if it happens again!